The striking beauty of hand-woven Intrecciato and the exquisite pearly texture of Antique-finish Ostrich add a distinctive polish to this classic bi-fold wallet. 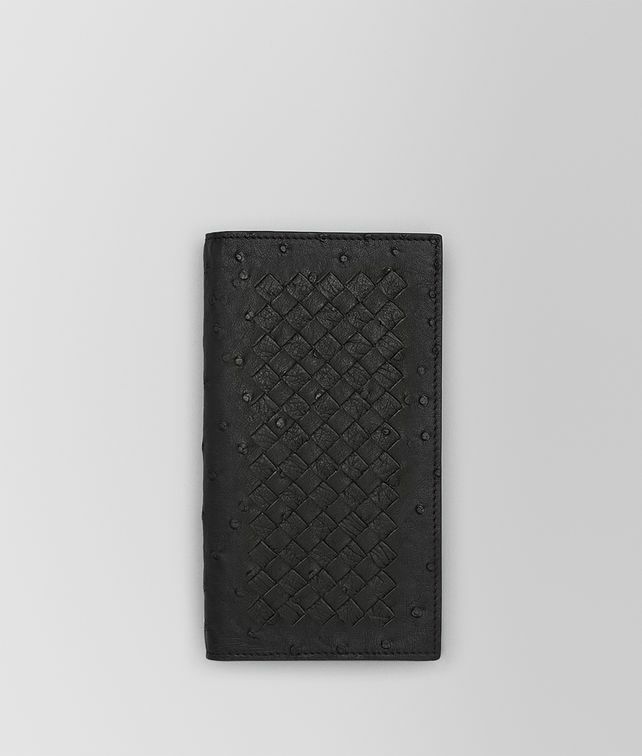 Impeccably crafted in every detail, the design comes complete with 18 credit card slots, a generous note compartment, a coin pocket with sheer leather zip pulls and 3 additional slots for cards/receipts. A subtly embossed logo completes the interior.